RIYADH, Saudi Arabia — Saudi King Salman appointed two new ministers on Saturday to key security and economic posts, removing one of the royal family’s most prominent members as head of the National Guard and boosting the kingdom’s young crown prince. The king also announced the creation of a new anti-corruption committee chaired by Crown Prince Mohammed bin Salman which Al Arabiya TV said had already detained 11 princes, four current ministers and tens of former ministers. 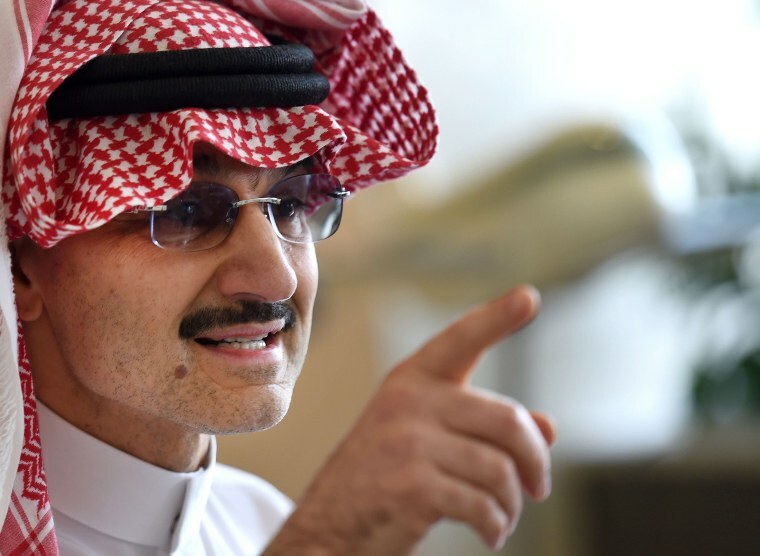 Among those detained was Prince Alwaleed bin Talal, one of the Middle East’s richest people, with investments in Twitter, Apple, Citigroup, and the Four Seasons, Fairmont and Movenpick hotel chains. Prince Mohammed, the king’s 32-year-old son, already serves as defense minister and was named heir to the throne in a June reshuffle that sidelined his older cousin, Prince Mohammed bin Nayef. He has been responsible at the same time for running Saudi Arabia’s war in Yemen, dictating an energy policy with global implications and devising the plans for the kingdom to build a future after oil. Kristian Coates Ulrichsen, a research fellow at the James A. Baker III Institute for Public Policy at Rice University, said the scale of the arrests are designed to further smooth the young crown prince’s eventual succession to the throne. “As a leader who is set to remain in power for decades, Mohammed bin Salman is remaking the kingdom in his own image and signaling a potentially significant move away from the consensual balancing of competing interests that characterized Saudi rule in the past,” Ulrichsen said. The arrests came as Lebanon’s prime minister, a close Saudi ally, announced his own resignation from the Saudi capital just hours earlier. Saad Hariri resigned in a televised address from Riyadh, offering a vicious tirade against Iran and its Lebanese proxy Hezbollah group for what he said was their meddling in Arab affairs. Saudi Arabia then said its forces intercepted a ballistic missile fired by Iran-backed rebels in Yemen toward one of the kingdom’s major international airports on the outskirts of Riyadh. A Saudi-led coalition launched a war against the Houthi rebels and their allies in March 2015 that grinds on today, a campaign overseeing by Crown Prince Mohammed. It’s unclear if the U.S. had any advance word of the coming arrests. Trump’s son-in-law and White House adviser Jared Kushner and others made an unannounced trip recently to Riyadh. Trump earlier Saturday said he spoke to King Salman about listing the kingdom’s massive state-run oil company, Saudi Aramco, in the United States.